While visiting the Aquarium in Lisbon we had the pleasure to meet the incredible ocean sunfish. How he swims leisurely and weightless with his unformed body through the sea scenery takes our full attention. His untypical appearance makes him so unique and lovable. We would had loved to take some souvenir from this fantastic being with us, but unfortunately we only found the typical sharks and starfishes. 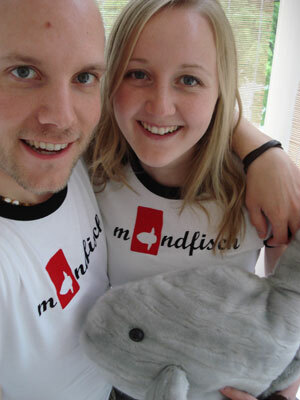 This is why we sewed our own soft toy sunfish and enjoy it every day.